Lou Jost is the founder of Fundación EcoMinga, one of World Land Trust’s (WLT) four conservation partners in Ecuador. Here he describes the exciting discovery of magnolia species new to science. Everyone who knows about trees has heard of magnolias and it is hard to imagine that trees in this dramatic genus remain undiscovered. However, the discovery of two new magnolia species in one small area in Río Zuñac Reserve is a testament to the very special character of the very wet Cordillera Abitagua, semi-isolated granite mountains separating the main body of the Andes from the immense, flat Amazon basin. Roberto Pedraza of Grupo Ecológico Sierra Gorda (GESG), WLT’s partner in Mexico, recently discovered two new species of magnolia in Sierra Gorda. That was great news and I was very excited when he told me about it in London in May 2014 at WLT’s 25th Anniversary Partners Symposium. Little did I know that at that very moment, two new species of magnolia were being discovered right here in our reserve by a group of botanists working with EcoMinga staff. It was an extraordinary coincidence. In May 2014 botanists John Clark (University of Alabama) and David Neill (Universidad Estatal Amazonica) led the research team that made the initial discovery. Based at the Río Zuñac field station, John, David and their students set up two research plots with the intention of identifying and tagging every tree over 10 centimetres in diameter in each of the two quarter-hectare plots. One plot was at 1,850 metres elevation and the other was two kilometres away at about 2,000 metres elevation. To collect flower buds, rangers climbed into the canopy. Here Luis climbs the hemi epiphyte root hanging from the right-hand side of the magnolia trunk; he is so high in the tree that he is almost invisible. © Lou Jost / Fundación EcoMinga. Assisting the research team were EcoMinga rangers Jesus, Luis and Juan Pablo who are funded by WLT’s Keepers of the Wild programme. During the survey, the researchers found a few individual trees that were identifiable as magnolias. Some of them were among the biggest trees in the forest, but they were completely unknown to the local people, who did not have a name for them. The discoverers were unable to find flowers of the new species, so initially they couldn’t be certain they were new to science. 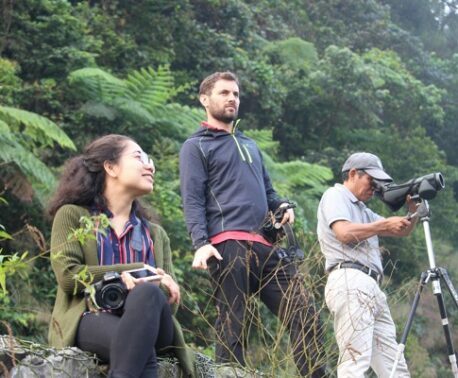 But in another coincidence, Dr Antonio Vázquez, the very same Mexican expert who visited Sierra Gorda with Roberto and described Roberto’s species, happened to have been hired temporarily by the Ecuadorian government to help improve the academic status of our local university, just a few kilometres from Río Zuñac Reserve. Antonio, David and EcoMinga staff made another expedition into the reserve to search for flowers, and thanks to the daring tree-climbing abilities of our rangers, they were successful in finding flowers of one of the species. Luis, one of WLT’s Keepers of the Wild, was among the first to photograph the new species. Later in the year, a third expedition revealed flowers of the second species and we were also able to photograph the beetles that pollinate the magnolias. The magnolia lineage dates back 100 million years and trees that we might recognise as magnolia relatives lived alongside the dinosaurs. The South American lineage that the Río Zuñac trees belong to (magnolia section Talauma) is the oldest lineage of the genus, diverging from the other magnolias around 40 million years ago (Azuma et al 2001). It is currently believed that these species reached South America via North America, which had close connections to Eurasia in the past. At that time North America would have had a tropical climate. 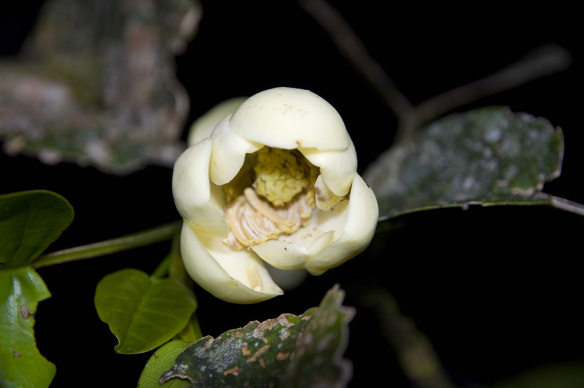 Papers describing the magnolias have been submitted to the appropriate journals and the First International Conference on Neotropical Magnoliaceae will be held in the shadow of the Cordillera Abitagua at the Universidad Estatal Amazonica from 27 May to 2 June 2015. 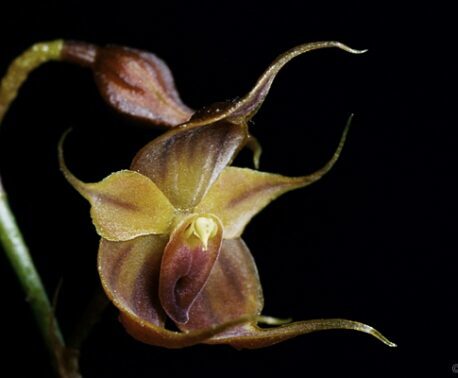 This is not the first time that new species have been discovered in EcoMinga’s reserves. Among the discoveries in recent years are a species of frog, several orchids and a tree found in Cerro Candelaria Reserve that was named after WLT’s Patron Sir David Attenborough. These – and discoveries yet to be made – underline the utmost importance of protecting and continuing to extend Ecominga’s network of reserves. The Keepers of the Wild that collected the magnolia flowers played a key role in the process of identifying the new species. You can support the important work of wildlife rangers in reserves created with WLT funding by making a donation to the Keepers of the Wild appeal.